An apparently innocuous image of a Martian cliff taken by Mars Curiosity Rover has gone viral thanks to alien-hunters who have noticed that in one part of the high-res image released by NASA there appears to be a gigantic crablike "monster" lurking within a cave. ET-spotters say the crab looks like the terrifying creature in the movie Alien which attaches itself to the unlucky John Hurt's face and implants an embryo in his stomach which then bursts out. One excited Tweeter wrote that "It looks a human kind of face in a type spider body!" However, the truth appears to be a little more prosaic; a trick of the human mind called pareidolia. SETI Director and astronomer Seth Shostak says this is the same process that tricks us into seeing faces in pieces of toast - and it all goes back to our primeval past when we had to spot predators in the jungle very quickly. "Far from being a vision defect, pareidolia has a lot of survival value if you need to quickly spot predators in the jungle, for instance," said Shostak. "Recognizing a crab in a landscape filled with wind-weathered rocks is no more surprising — nor more significant — than seeing a winking face in a semi-colon followed by a parenthesis. ; ) "
Conspiracy theorists however are unlikely to be swayed by such an explanation. In recent months UFOs have been "spotted" emerging from the sun, racing a Virgin Atlantic jet and crashing in Canada. Mars has long been suspected of harbouring alien life, with some photographs apparently showing huge faces, people, and even a coffin. 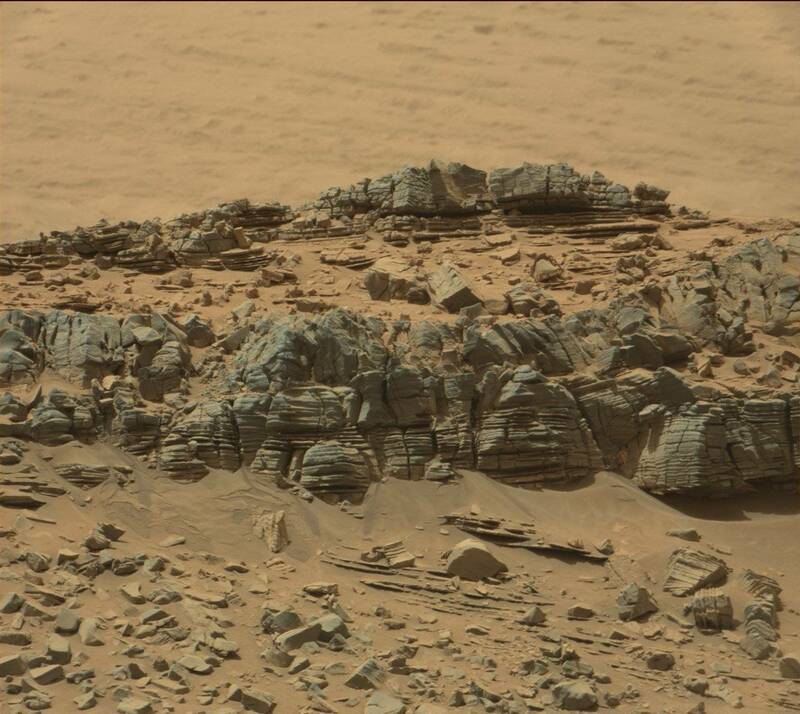 To date, however, there has been no evidence of any life being found on Mars - or anywhere else apart from our own Earth.